Vitaly, celebrated as one of the most unique and innovative illusionists in the world, brings his most ambitious work yet to NY audiences for the first time. 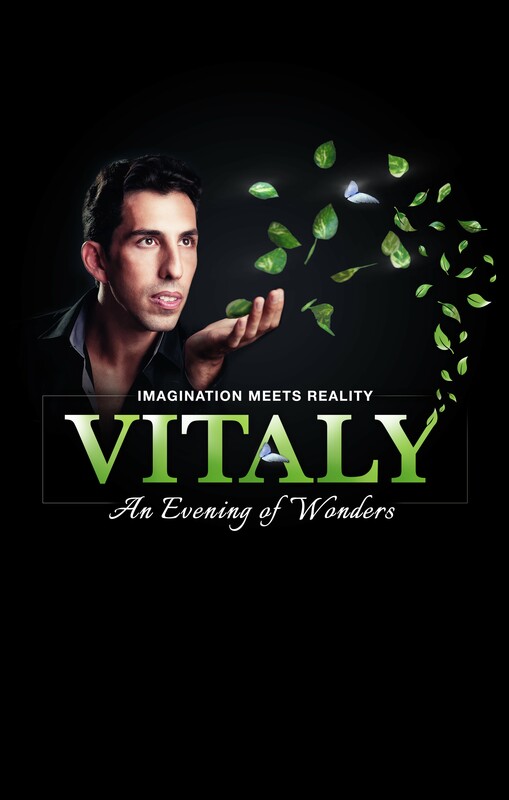 Creating a theatrical experience that takes the audience on a magical journey blending art and illusion, Vitaly conjures some of the most amazing spectacles ever witness and dazzles us with the realization that our is indeed a world of extraordinary wonder and beauty! Offer is valid for performances through 9/30/18. Minimum 4 tickets per order. All prices include a $1.50 Facility Fee. Tickets are subject to availability. Schedule subject to change. Not all seats are discounted. Regular service charges apply to phone and internet orders. May not be combined with any other offer or discount. Not applicable to previously purchased tickets. No refunds or exchanges. Blackout dates may apply. Offer may be revoked or altered at any time. Limit 8 tickets per order.